Spices not only provide flavour and colour to a range of dishes, they also deliver a whole host of health benefits. 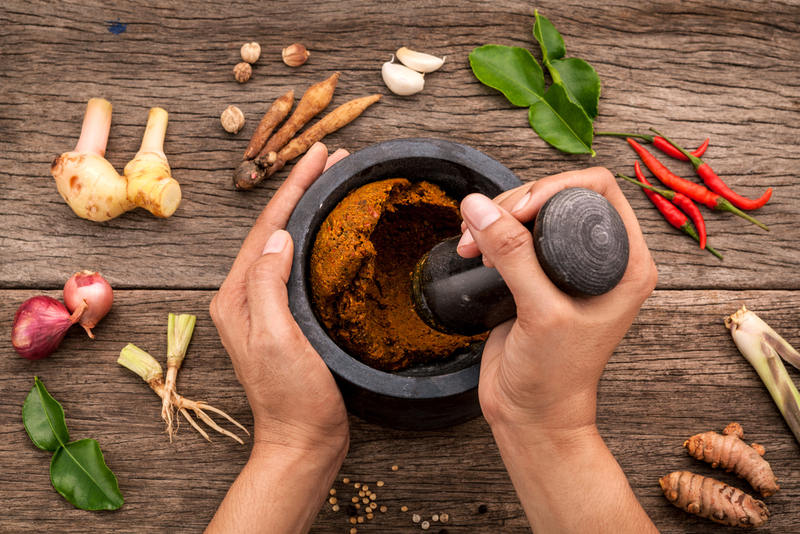 Clinical Nutritionist Suzie Sawyer, picks her top five favourite spices and tells why they’re so great for our health. It has been said that many years ago cinnamon was actually more valuable than gold! 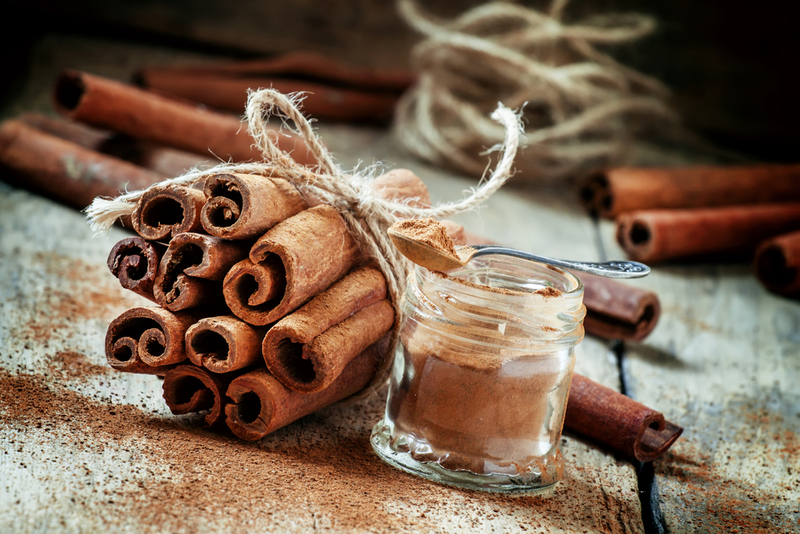 Slightly hard to believe, but what we do know is that cinnamon has a really positive effect on blood sugar balance; this needs to be kept under control to help prevent type 2 diabetes and to keep weight in check. Cinnamon can help manage blood insulin markers; both insulin and glucose need to be kept well balanced, ideally through the right dietary choices, but these, together with blood cholesterol levels can be better managed when you’ve got some cinnamon in your diet. Sprinkle some onto your porridge or breakfast cereal, add it to plain yoghurt or you can even sprinkle some over your cappuccino! It also adds a real zing to many baking recipes such as flapjacks, muffins or apple strudel. Turmeric has reached somewhat iconic status in recent times. Over the years it has been used for many things including liver disease, digestive problems, coughs, colds and wound care. Turmeric is the spice that makes curries yellow; Asian populations have long known of its wonderful health benefits, as well as its delicious taste. 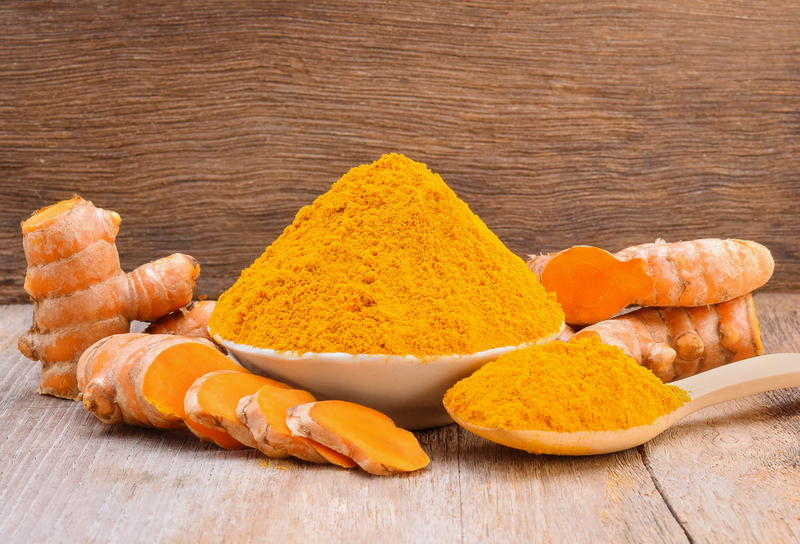 The active ingredient in turmeric is called curcumin and in recent times, research has mainly centred on its amazing anti-inflammatory benefits. This is key in moderating any joint issues and also in preventing some of our most common and serious degenerative diseases. Turmeric is actually quite difficult to absorb into the bloodstream. Therefore, it needs to be used in dishes that contain some kind of fat such as meat, chicken, fish or eggs to benefit from it the most. Alternatively, turmeric has been found to be better absorbed when eaten with black pepper, so any curried dish using both ingredients is certainly going to be beneficial to your health. Ginger is another very versatile spice that delivers so many health benefits, whilst adding a wonderful flavour to a wealth of dishes. It is probably best known for its benefits to the digestive system; it appears to help with indigestion and also flatulence. It also feeds the friendly bacteria naturally present in the digestive tract, so over a period of time its benefits become even greater. 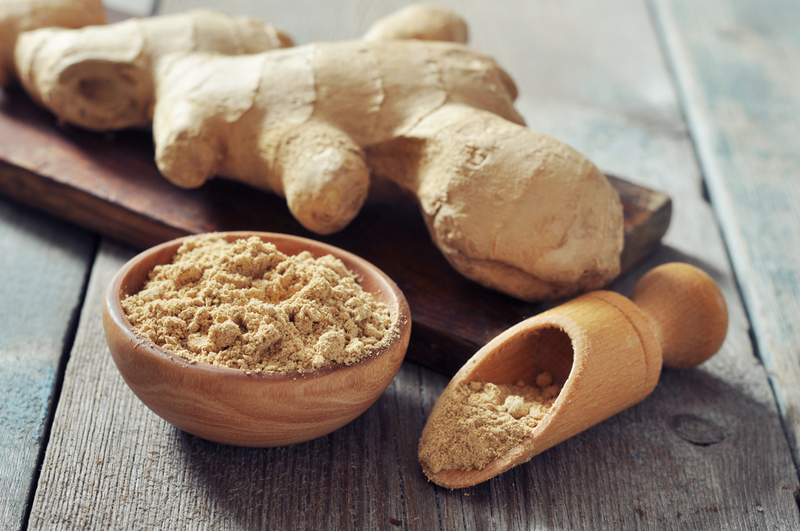 Ginger can be very helpful with counteracting the nausea associated with travel sickness or morning sickness. It is also great for the circulation, and it’s been traditionally used to cure colds. Ginger is also a natural anti-inflammatory; any niggling aches and pains can often be soothed by regularly eating ginger. As well as adding a wonderful ‘zing’ to stir fries, curries and Thai dishes, it’s easy just to grate a teaspoon of ginger with some lemon juice, a teaspoon of Manuka honey and drink with some warm water every morning. Many people quickly notice the benefits to their overall health from doing this regularly. Cayenne pepper, also known as capsicum, comes from the capsicum plant which belongs to the nightshade family. Its active part is called capsaicin, which gives the fruit its spicy heat and redness. When it’s applied to the skin, capsaicin stimulates blood flow and promotes natural warmth to joints and muscles. When cayenne is added to dishes (it’s great in curries and stews), it can help to balance blood fats (particularly cholesterol levels) whilst also regulating blood pressure. 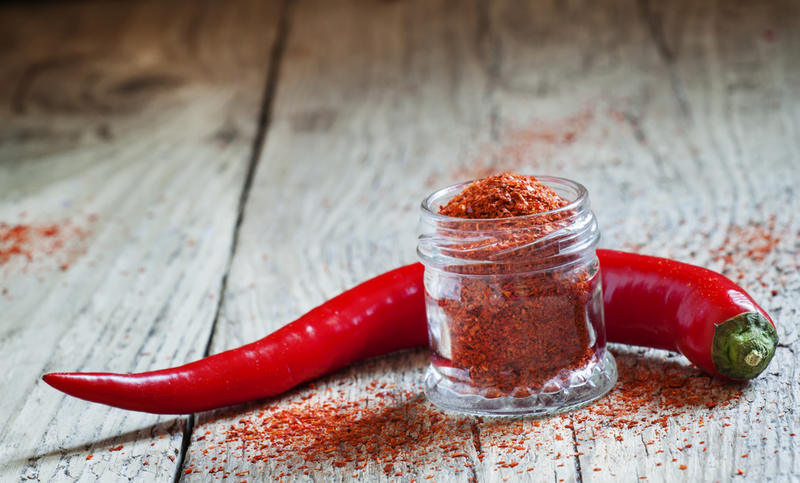 Even better, cayenne promotes the release of endorphins – the body’s ‘feel-good’ brain chemicals. So add it as much as possible to your cooking particularly where you want an extra kick – it can also give you a mood boost too! Cloves have a very distinctive fragrant taste and smell and have long been used to improve the flavours of preserved foods. They are an acquired taste and are not for everyone, but your body will certainly love them for their health benefits. Cloves are known to promote healthy digestion, bowel movements and reduce flatulence. In fact, if your digestion is needing a little helping hand, try making a tea with dried cloves and drink regularly. Cloves are actually really gentle on the digestive tract, plus they can help break down fats in foods, which can cause digestive upsets in some people. 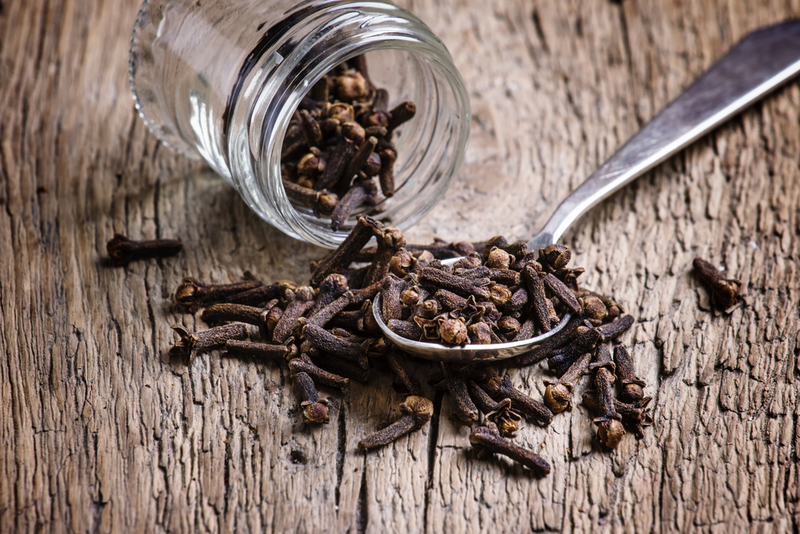 Interestingly, cloves were historically used for toothache and gum health so it might be worth gargling with some clove water if you’re struggling with any pain in the mouth. So add some spice to your life, and your food, for an extra health boost! ← Five nutritious snacks to get you through the afternoon! Cinnamon is one of the best flavours on the planet, but I must admit I prefer those really savoury spices, the type that would taste a bit too strange in a cake. Cayenne pepper is beautiful, and gives such a wonderful kick to my go-to curry. And I agree with the endorphin point – it feels like you’re sprinkling quality and happiness into your cooking, which is one of the best things about spices.